So you get the school supply list and assume that all of the items are necessary. You visit the office store, spend a ton of money to get everything and feel good about crossing this huge task off your list. But your gut wonders if all items were really necessary. You wonder about the impact on the environment. You wonder if your child will use all the supplies. You wonder if you’re wasting money, time, energy. You wonder where the teacher will store 25 boxes of tissues and why the school doesn’t just buy them in bulk and split the cost. I work with a lot of students during the summer, getting them prepared for the upcoming school year. Most of the students I work with are out-of-the-box, global, right-brained, creative, sensitive, divergent thinkers who struggle with organization. After years of seeing many students struggle with supplies that didn’t work for their specific learning needs, and seeing disturbing amounts of waste, I have strong opinions regarding appropriate supplies. With the best of intentions, schools create homogeneous supply lists for entire grade levels. But unless an individual teacher needs you to buy a supply for a specific classroom system, you should be able to make modifications for your child as needed. This is the most important item for 5th grade through college. Many schools actually provide planners and this is a nice gesture. Unfortunately, they are usually “week at a time” planners that often come cluttered with interesting but distracting information (inspirational quotes, interesting facts, colorful designs, etc..) These planners often make it more difficult for struggling students to use. I typically recommend “month at a time” planners. These are great for global thinkers because they can see an entire month instead of a week. Think about this… there are only 10 school months to worry about, which is much easier to contemplate and manage than 36 weeks in a school year. Do not get a tiny planner as there is not enough room to write everything; I prefer 9×11 planners. Make sure it has lines in the boxes, which helps organize information, especially for learners with large or messy handwriting. Teach students to use shorthand and bullets. For example, “*M-p.27, 1-10 due” means “*Math, do page 27, problems 1-10, due today”. Train students to write assignments on the day they are due and to plan in times to work on assignments. Next, the assignment just needs to get into the hand of the teacher, and I could write an article on that alone. 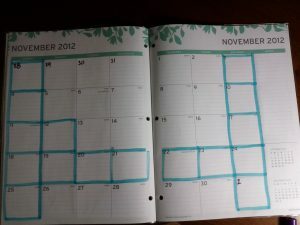 The rule is: don’t cross an item off the planner until it is turned it. In other words, an assignment is not “done” until it is in the teacher’s possession. I do not recommend spiral notebooks unless the student is innately organized. Spirals tend to be messy, pages fall out easily, and the metal tends to get smashed, making it difficult to open. The covers fall off and while kinesthetic learners often pull and bend the metal into amazing shapes, it ruins the “notebook” aspect of the notebook! I strongly recommend “composition notebooks.” They are easier to handle, pages stay in much better, they are neater, and they stack more easily. Help students coordinate notebook colors to match corresponding folders. Perhaps red for math, green for science and social studies, blue for language arts and black for everything else. Simplify, centralize and color code. I recommend getting several of the 4-color Bic pens. They are pricey but worth it. Remember to use a sharpie and label these coveted pens clearly with your child’s name or they will grow legs and walk. 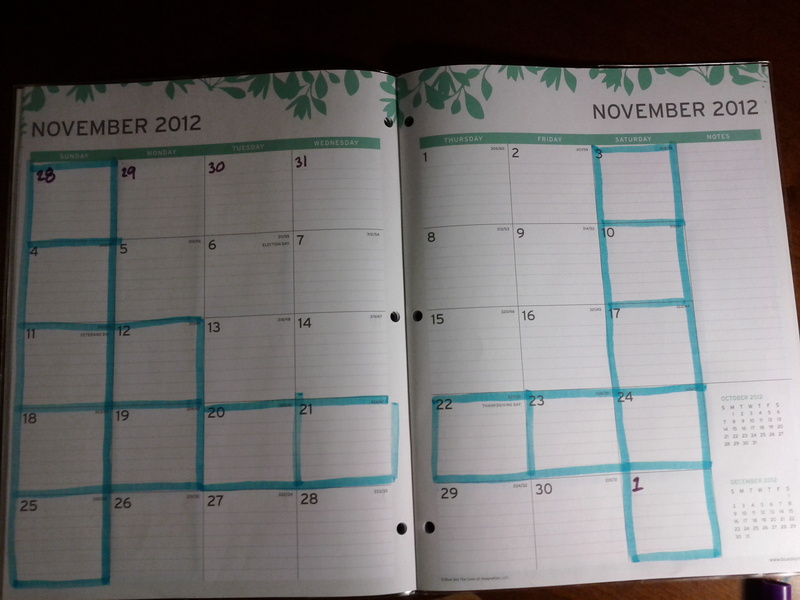 When writing assignments in the planner, coordinate colors with notebooks and folders. Again, perhaps red is math, green is science and social studies, blue is language arts and black is everything else. Students should also learn how to color code and illustrate concepts while taking notes. This is an extraordinarily powerful visual tool which makes studying easier, long term memory better and comprehension deeper. Keep it simple. I like pocket folders in solid colors. Do not buy plastic folders unless your child is naturally organized because papers like to fly out of these. Trust me on this even though it may seem like a small detail. When papers slide out and go everywhere it is very frustrating for a student, especially when they are trying to transition to another class. It is frustrating to have to reorganize it, so they don’t and consequently are unable to find what they need when they need it, and on and on. You get the point. Next, clearly write student’s name and grade in sharpie, in the upper right hand corner of the front AND back of the folder. Write the subject large and clearly, in the middle of the front. Depending on the class, it may be useful to open the folder and write something like, “IMPORTANT/CURRENT WORK” on the right hand side, and “OLD STUFF” on the left hand side. You can probably save your money on the binder. The reality is that unless a teacher is going to be meticulous about making sure students get in the habit of using a binder, most students will not use them properly and they will become a messy nuisance. They are big, bulky, malfunction, and they take too much time to manage when a bell rings and a sea of students rush to their next class. Just keep it simple- a color-coded folder and composition book for each class. I strongly recommend buying the clear ones. This makes tracing, measuring and graphing significantly easier because students can see the paper below. Remember to sharpie your child’s name onto them. Write your child’s name EVERYTHING with a sharpie or some type of legible, bold label. Everything includes: memory sticks, large erasers, notebooks, expensive pens, pencils or markers, coats, sweatshirts, shoes, house key, calculators, cell phones. On more valuable items, consider putting a phone number or email address so that it can find its way back to you more easily.